The Sixth Form College, Solihull has teamed up with Queensbridge School this term and recently ran a ‘stretch and challenge event’ for some of their pupils. 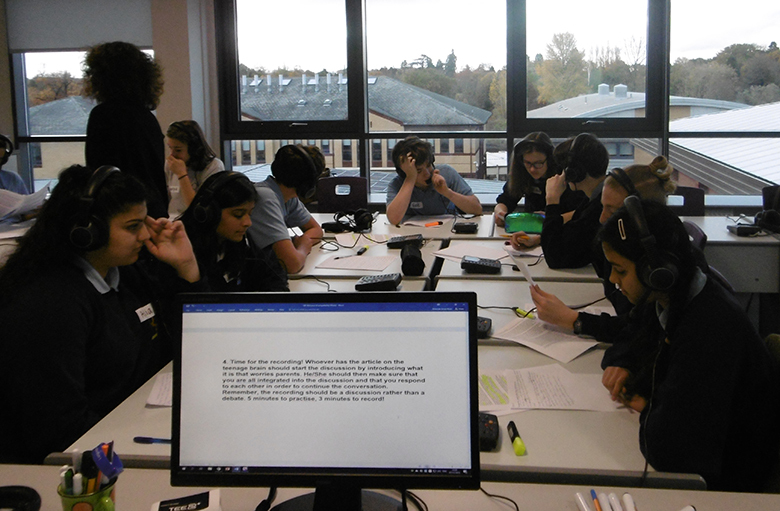 A group of 14 Year 10 students from the school visited the College to take part in a critical thinking activity. It involved meeting former Queensbridge School students currently at College to discuss their A level choices and university aspirations and then take part in an interactive activity. The interactive group work centred around the theme of parental worries of children’s use of the internet and social media platforms. The students had to quickly read a number of demanding texts on different aspects of internet use, pull together the main ideas and prepare a talkshow, which was recorded in one of College’s multi-media language labs.